My favorite part about these posts is how they’re so uncurated. The photos aren’t styled. They’re not edited. 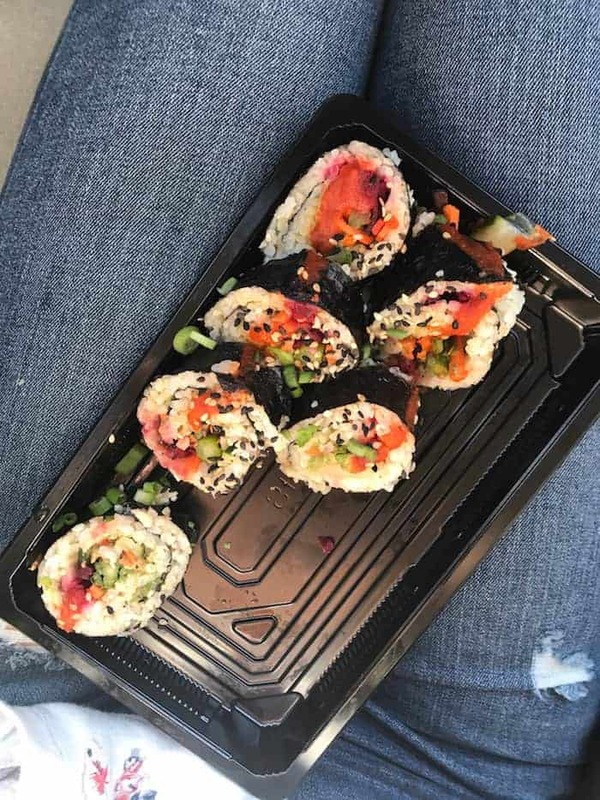 It’s just real food in real life. Isn’t that such a nice change of pace? I hope you all can take some time to really unplug this week. Use the extra time to reflect on what you’re grateful for and soak up all the love around you. It’s so important. Happy early Thanksgiving! 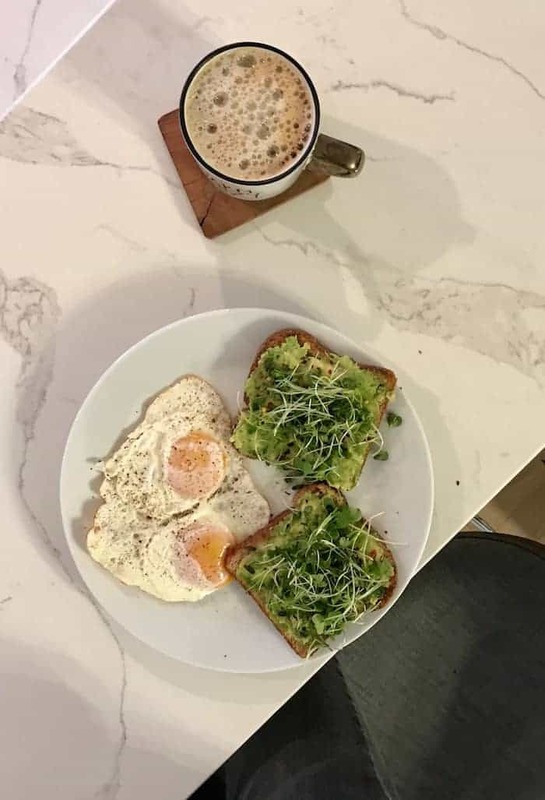 Two fried eggs with avocado toast topped with local micro greens + coffee. 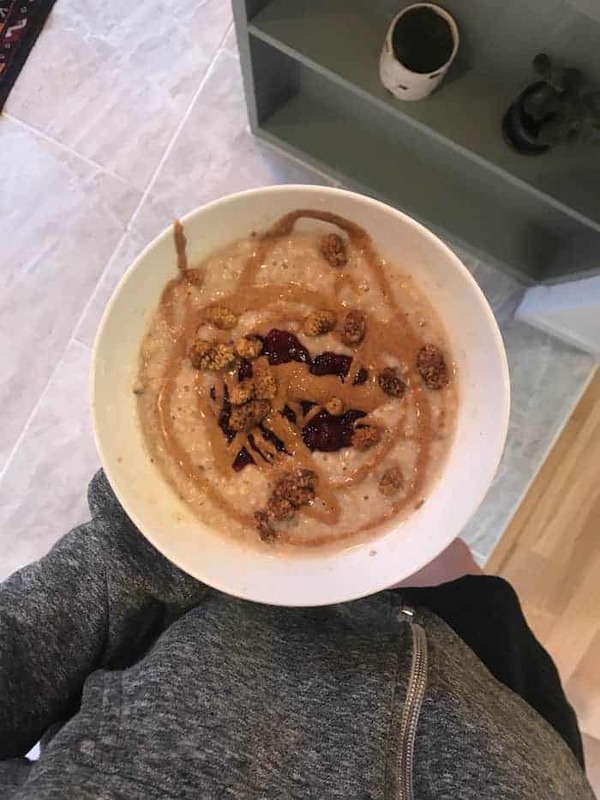 Steel cut oatmeal with Orange Bourbon Cranberry Sauce, almond butter, and mulberries. Pancakes made with a local whole grain mix + microwaved blueberries, maple syrup, and buttah. Nutty Dragon Bowl + Pesto Avocado Toast a la Alchemy. 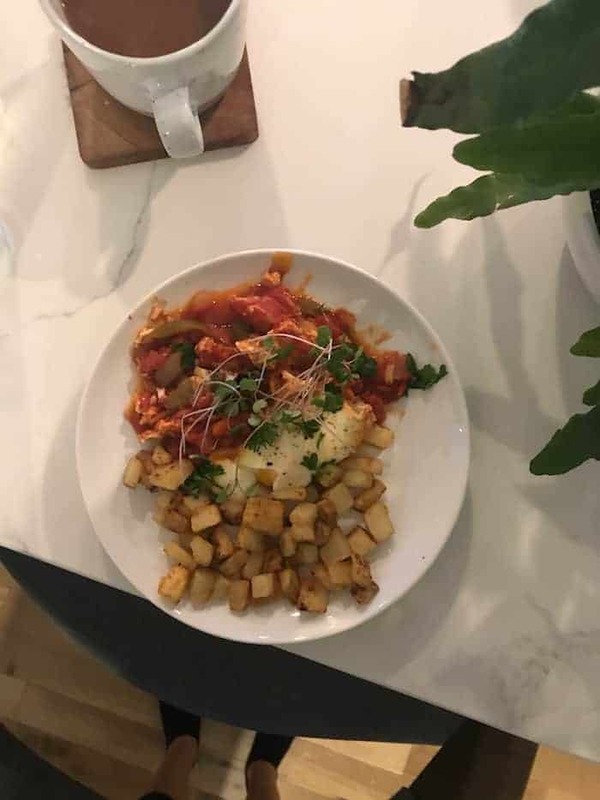 Shakshouka with local potatoes sauteed in buttah + EVOO. 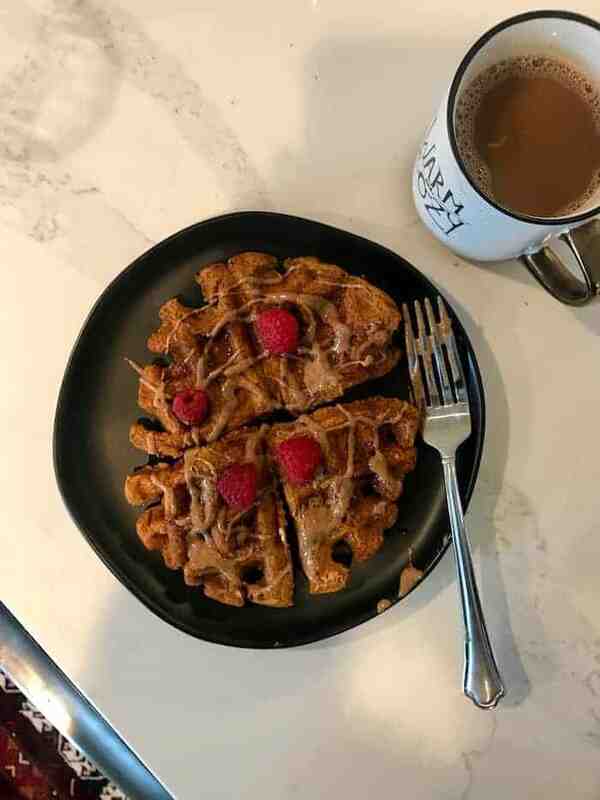 Pumpkin waffles with almond butter, maple syrup, butter, and raspberries, Recipe from Vegan With a Vengeance! 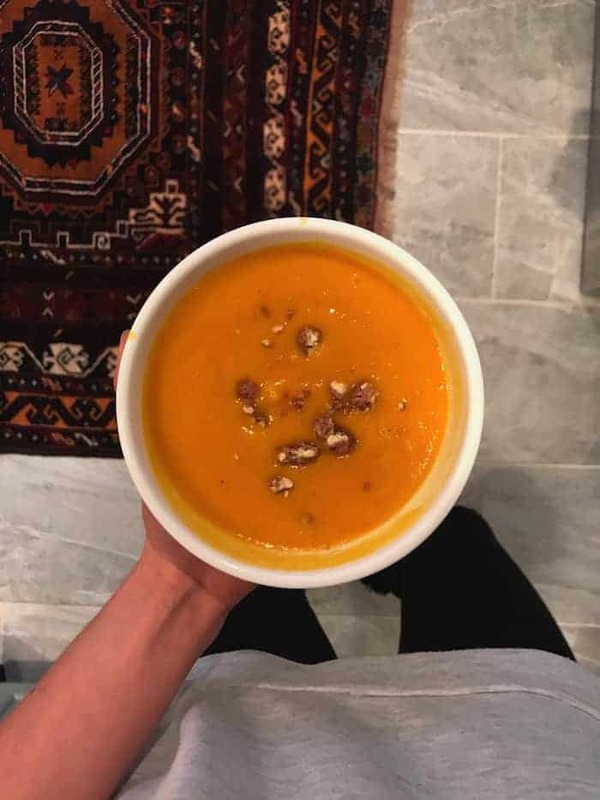 Roasted Butternut Squash Soup with candied pecans. 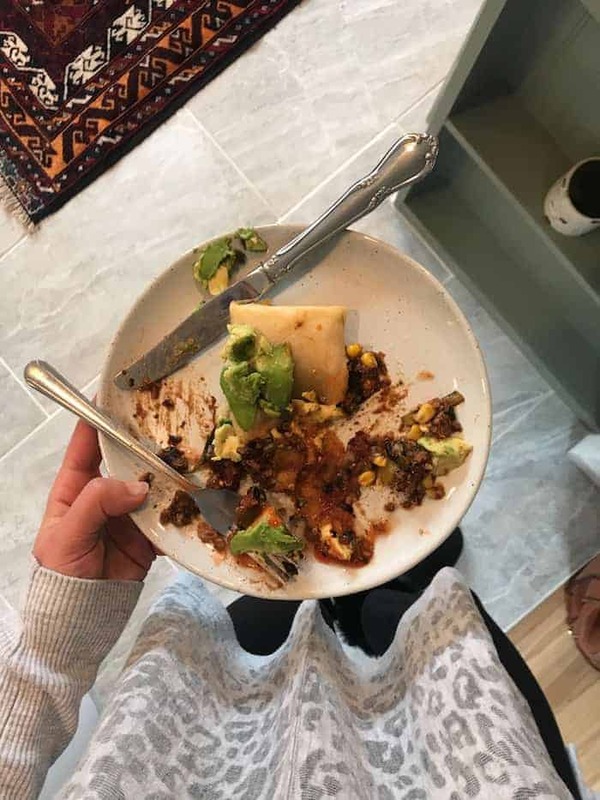 Amy’s new frozen quinoa black bean burrito with salsa, avocado, and unpictured leftover green bean casserole. Taste testing a carrot cake waffle, egg sammie, oatmeal, and hash for Alchemy 2! Tacos with the best chickpea pecan taco meat and all the salsa. 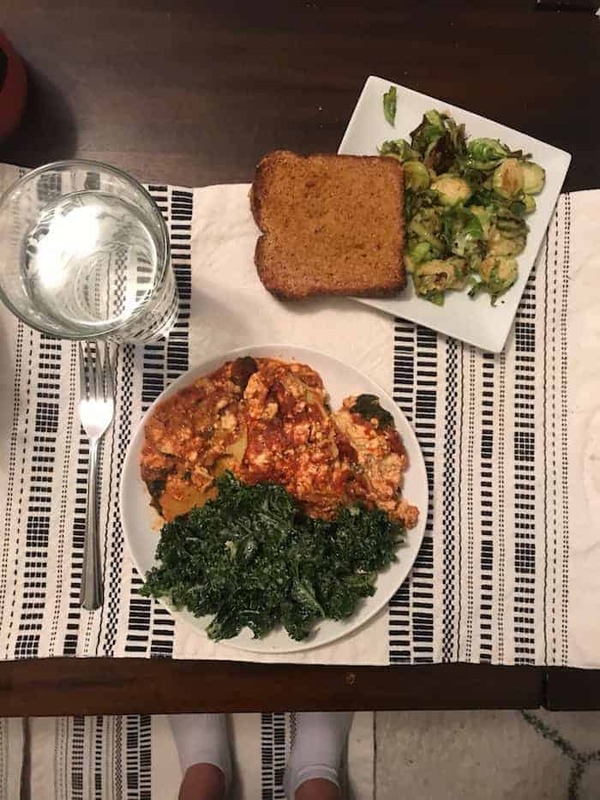 Lasagna with sautéed Brussels sprouts, kale caesar salad (tahini, olive oil, lemon juice, garlic, salt, and pepper), and garlic bread (broiled bread with Earth Balance, garlic, nooch, and salt). 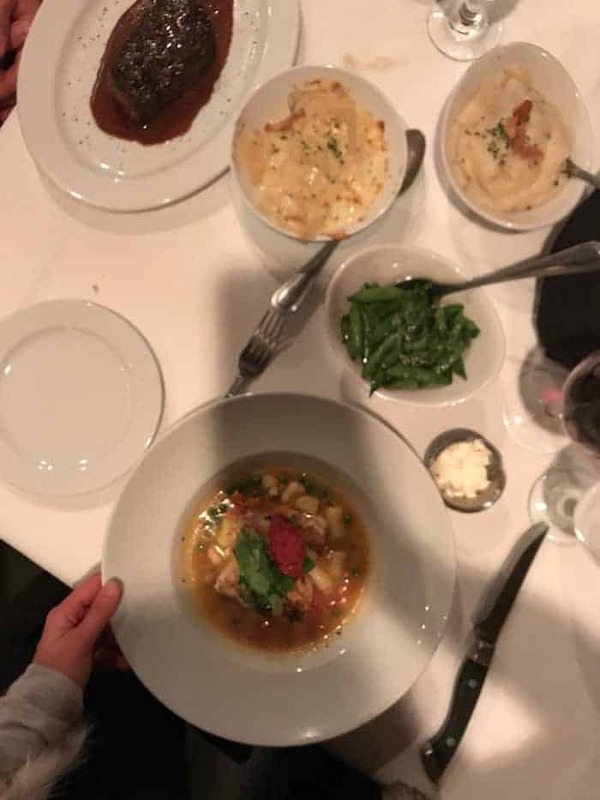 Alllll the food at Mitchell’s Ocean Club, including the new tuna rossini app, grouper with gnocchi, scalloped potatoes, and snap peas with sweet soy butter. 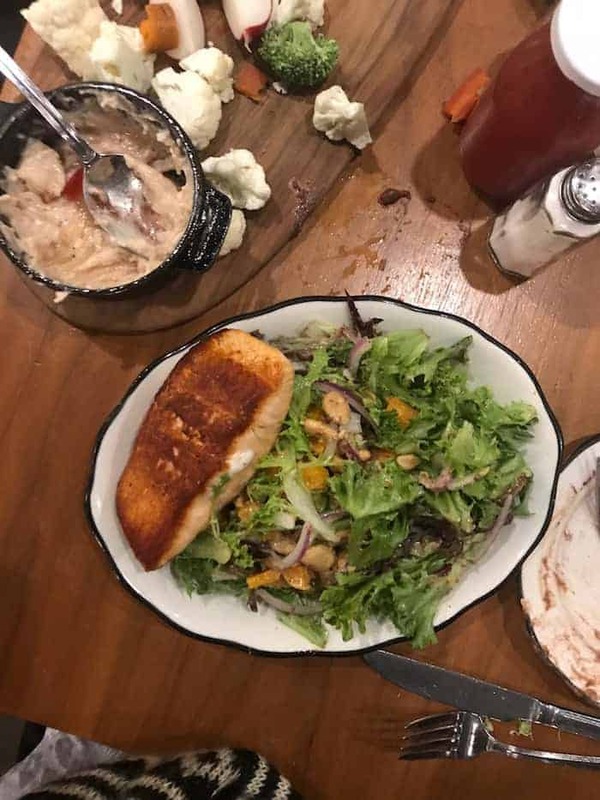 Salmon salad with ricotta salata, butternut squash, marcona almonds, and hopped vinaigrette from The Crest. 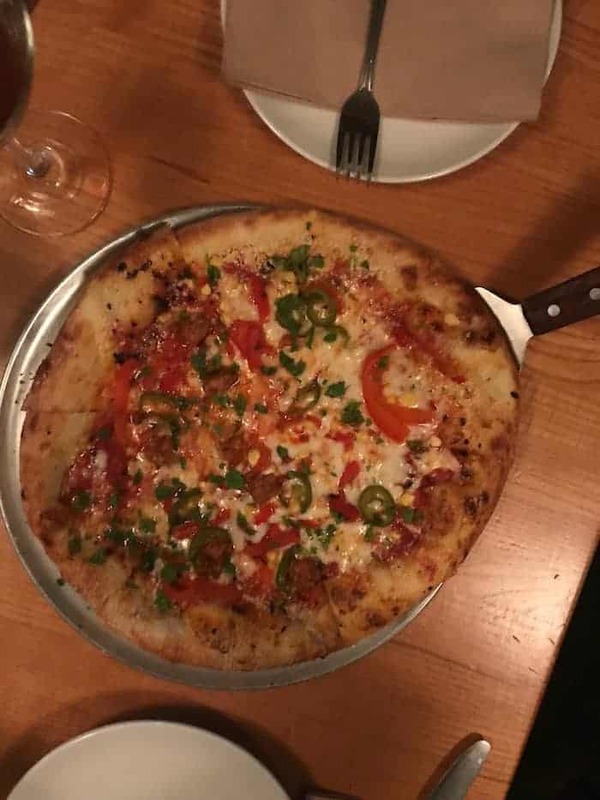 Pizza night at Harvest! Kale Caesar + Spicy Yuma pizza. 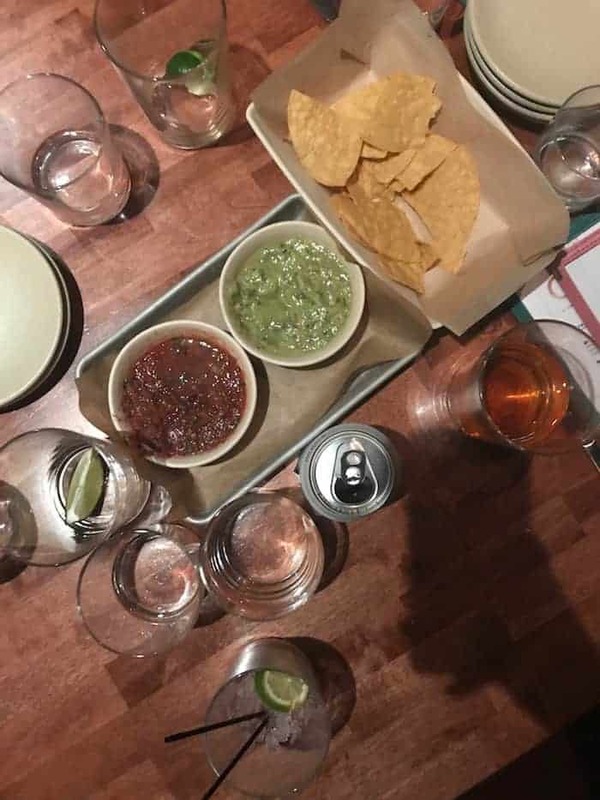 Margaritas + chips and salsa from Cosecha. TRISM pumpkin donut with salted vegan buttercream and candied pecans. The most amazing double chocolate brownie bites! Recipe coming soon. Stauf’s best ever blueberry buttermilk muffin + coffee. The most amazing chocolate peanut butter pie from Mitchell’s Ocean Club. Salted chocolate peanut butter Perfect Bar. So good microwaved with extra salt! Siggis’s vanilla yogurt with cranberry sauce and muesli from Pistacia Vera. Right! I do so much photo editing for recipe posts so it’s really nice to keep it low key for these kinds of posts. Happy Thanksgiving! Super intrigued by the “chickpea pecan taco meat” – maybe a recipe post in the future?? It sounds good. It’s amazing! I linked to it with the word tacos :) enjoy! 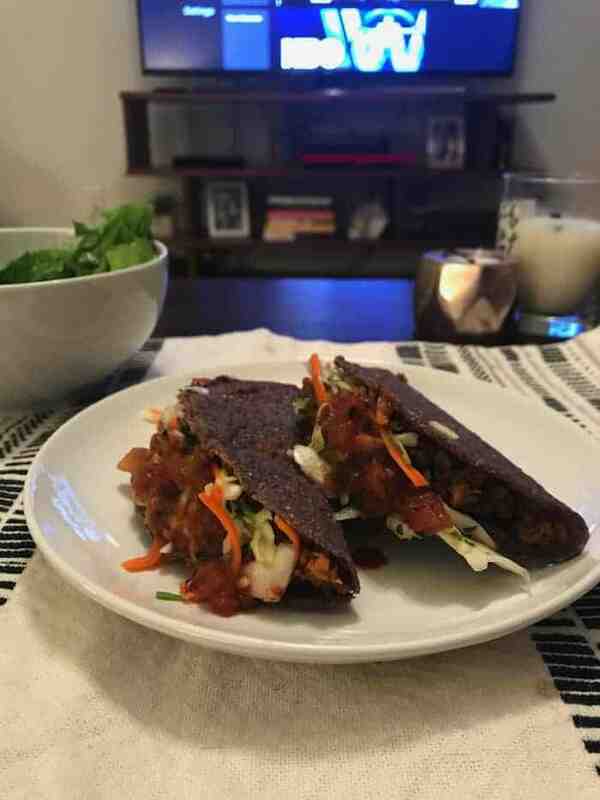 The link doesn’t bring you to the chickpea taco meat recipe! Any chance you could fix this ? Thank you for limiting the number of affiliate links in this post. Hey Chris, thanks for your comment. Affiliate links are one of the ways I make the income necessary to sustain this blog in addition to my full time job. I get a lot of readers asking where to find the products I mention so I hope the links are helpful in that way; but I don’t want this space to feel like a constant advertisement, either. It’s a careful balance. Thanks for understanding! 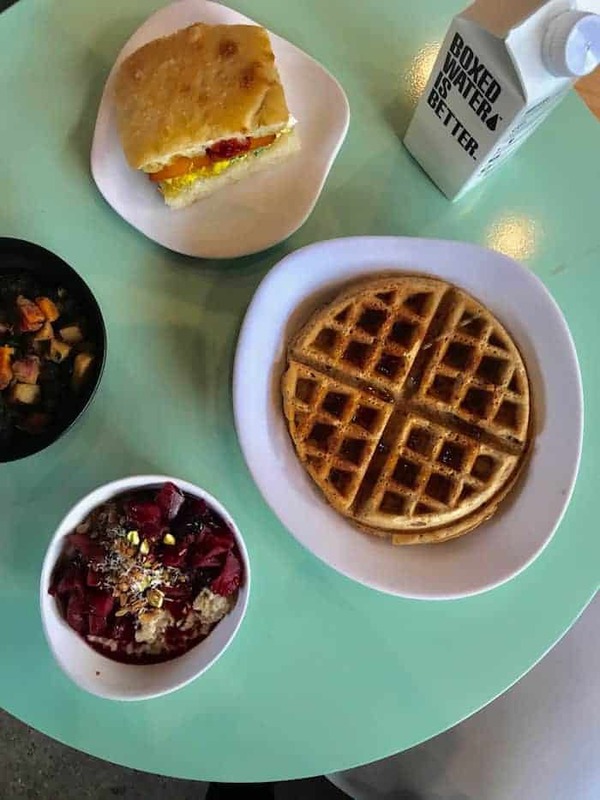 Everything here looks so delicious! 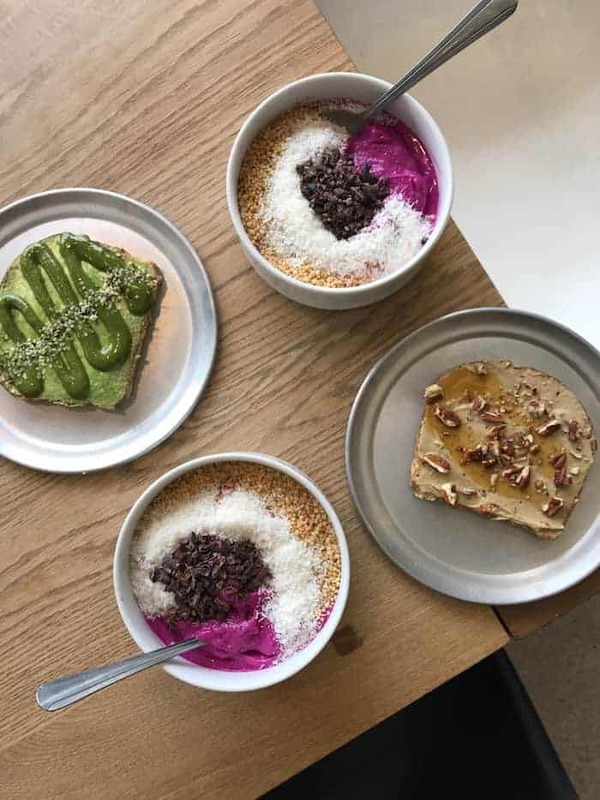 It’s making me hungry :) It’s so nice to see some new ideas for breakfast/lunch/dinner options! So glad it’s inspiring you! The donuts are TO DIE FOR. SO happy you loved the more relaxed feel! Those brownie bites look absolutely marvelous; can’t wait for the recipe! And microwaving Perfect bars? You are a genius!!! Can’t wait to share them with youu!! The warmed up perfect bar is like having a warm cookie for a snack! Seriously legit.